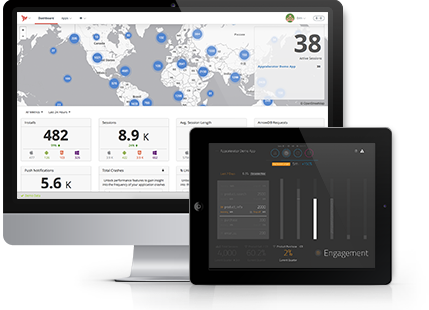 Engage users based on rich, real-time mobile analytics. Easily connect your mobile apps to any data source. Engage users with pre-built push notification service. Design custom queries to get the usage and user behavior data that’s meaningful for your apps. Cross-platform mobile app development—with no hybrid compromises. API Builder (formerly Arrow) is a powerful framework for building and running APIs. Real-time mobile analytics for every native app – whether built on our platform or directly via native SDK (iOS & Android). Create and schedule notifications based on query output. Compare query results, export as CSV, and set queries access privileges.